Partially improved 1.67 acre lot with a view. 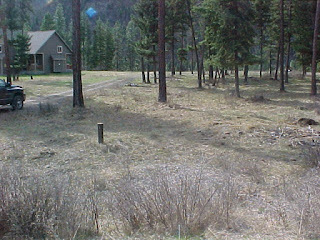 Property is surrounded by nice homes and is located away from the interstate and close to Superior, Montana. Lots of wildlife in the area; deer, elk, moose and turkeys. The well is in need of a pump and water system. Septic system is approved. Possible Seller Financing. 26 Terrace Court Superior, MT 59872. Call George for more information at (406) 822-4415. Priced at $46,500.